I hope 2011 brings you much love and happiness, and knitting of course. I, for one, am hoping for a year without natural disasters. 2010 was pretty much awful in every respect so it's been a joy to turn my back on it and welcome a new year, new adventures and some happier times, thank you very much. Fibre Alive - Merino Mania (hand dyed sock yarn from JOY) from my Mum. And this one was an extra that came home with me from holiday. I'm calling it my New Years present to myself. 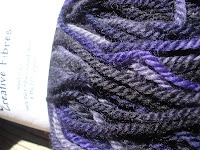 Its 200g of Creative Fibres DK in Blackberry. Here's hoping you have a far more settled 2011 than what you've had to go through in the latter part of 2010! All the best from Whakatane! Happy new year! 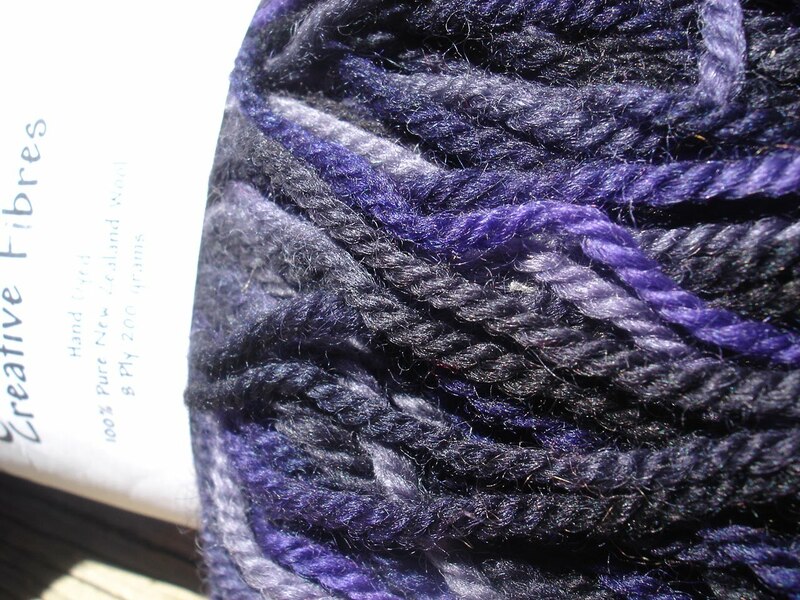 Mmmm such lovely yarns!